When you're baking, protect your clothes from the flour and bread mix with this this baking apron. 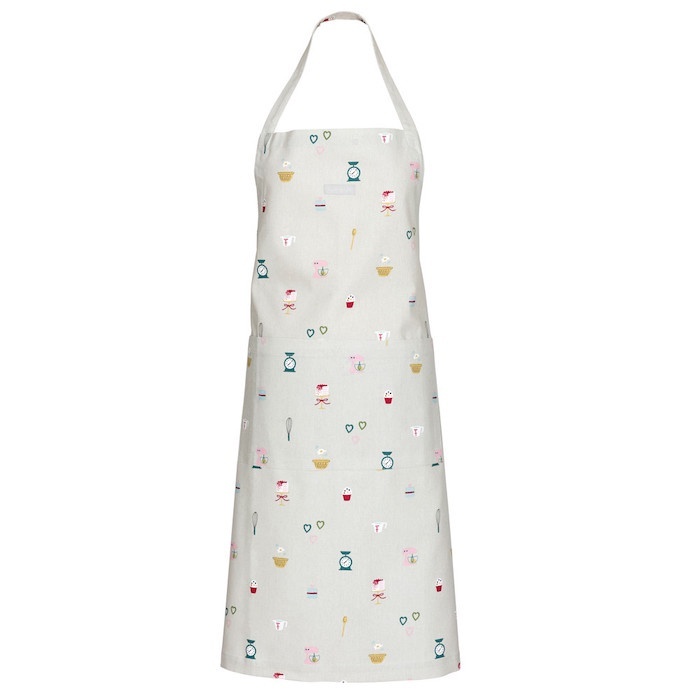 Great for a gift for a baker, the apron is illustrated with images of baking implements like whisks, heart-shaped cookie cutters, scales, mixing bowls and wooden spoons all on a neutral stone-coloured background. Complement with the baking oven gloves from the same range.